The French Cancer Foundation goes viral! 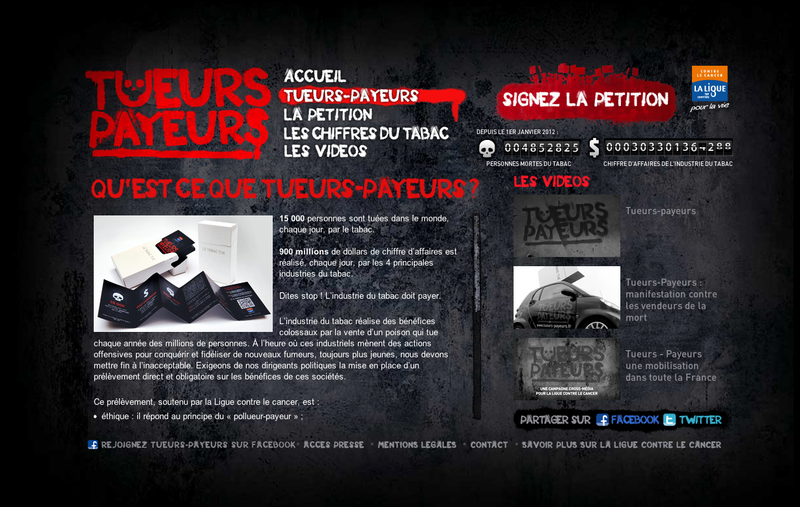 The website offers videos, social sharing tools and factual information about the cigarette industry. 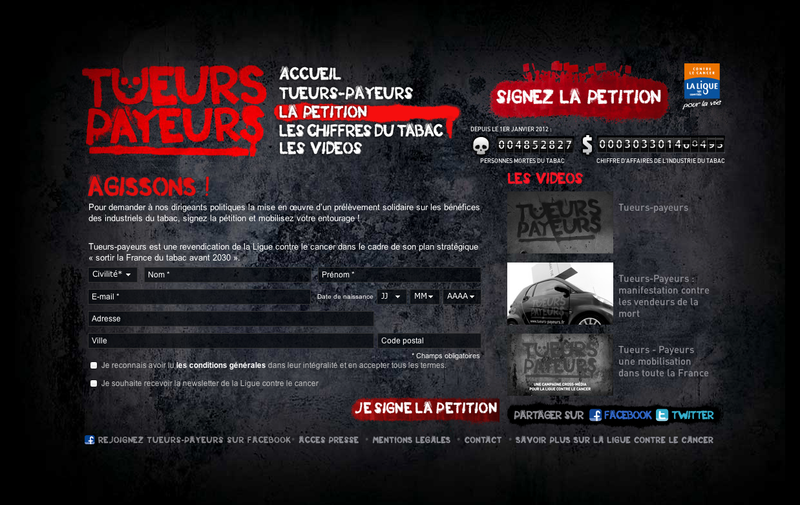 Users are encouraged to sign a petition. Part of a guerrilla marketing operation that was held in Paris.